Much like gym enthusiasts, every year Asiatic black bears seem to be on the lookout for protein-rich food ahead of the summer, so that they can bulk up on lean muscle mass in place of the fat tissue formed last year prior to hibernation. This was concluded in a study by Dr. Shino Furusaka, Tokyo University of Agriculture and Technology and his team, based on direct observations on bears living across an area of about 60 km2 in Japan. The study is published in the open access journal ZooKeys. 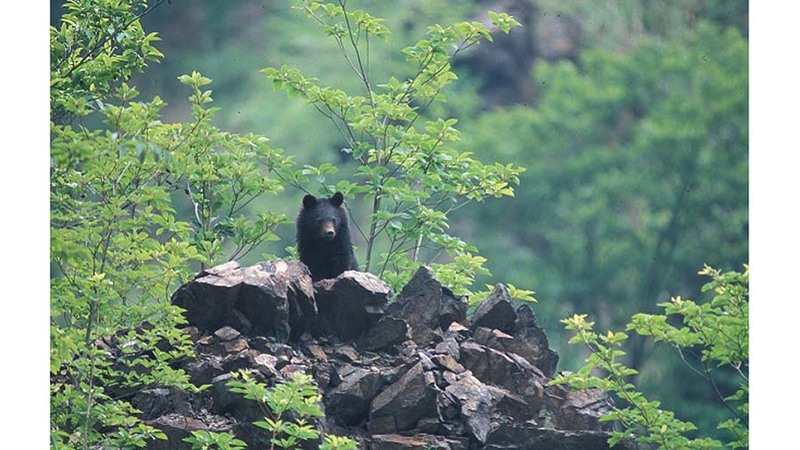 In order to determine the bears’ food preferences and habits, the scientists followed a large number of animals in the Ashio area of the Ashio-Nikko Mountains in Japan from April to July in both 2013 and 2014. To avoid unnecessary intrusion, they stayed at a distance of at least 200 metres using video cameras with telescopic lenses to document the sightings. Having documented the plant species the bears consumed, the researchers studied their nutritional content and made conclusions about the nutrients needed for the species after hibernation. While heavily dependent on food availability, generally the bears were noted to prefer food which is high in protein, but poor in fibre — likely because their stomachs and intestines were unable to efficiently digest the latter. Furthermore, the protein-rich diet ensures that the muscle mass is rebuilt to replace the lost winter fat. Interestingly, the bears were observed to change their food preferences as spring progressed and that seemed to be linked to the shifts in the nutritional value of the available food. Starting with their observations at the beginning of April, the scientists did not record any feeding behaviour until the end of the month. As leaf flush was yet to occur, the animals were active and feeding on overwintered grass. However, in early May, the bears began consuming newly emerged leaves, grass and, later in the month, they added flowers to their menu. A shift in behaviour occurred in the following months. In June and July, the bears were seen to feed mainly on ants, with a small portion of their food intake consisting of grasses, sika deer carcasses and bees. Curiously, when the scientists looked into the nutritional content of the same plants which the animals sought only a few weeks ago, they found out that now they were significantly poorer in protein and richer in fibre. Another finding showed that the calories in the different items were not related to the choice of food which likely proves that the key factor is none other than the amount of protein, provided that the fibre value is low enough for good digestibility. Understanding the food preferences and habits of animals, as well as the reasons behind them, is essential for the development and revision of habitat management plans. However, previous knowledge of the feeding behaviour of Asiatic black bears has been based solely on faecal analyses which has not provided sufficient details on which nutritional factors influence the use of particular foods.